Howie Altholtz joined RIW in 2005 and is a shareholder of the firm and Chief Marketing Officer. He manages the firms business development, and participates in a number of select client matters. Howie’s career spans across the disciplines of law, music and business development. 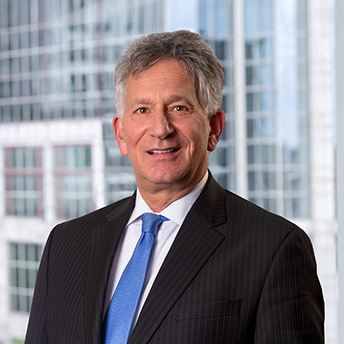 As an attorney, Howie practiced for 10 years at Nixon Peabody, and led its Entertainment Law practice. He was also one of the first ever Law firm Marketing Directors in New England. In 1987, he created the Marketing Department at then Peabody & Brown, and spent 12 years as its Marketing Director, helping grow the firm from 50 lawyers to nearly 200, then into a merger to become Nixon Peabody and over 700 lawyers. Over that span, Howie helped establish that firm’s business development strategy and marketing efforts as a benchmark for the industry, with ground breaking design and branding, and award-winning advertising and content development. Howie’s exposure to the music industry was fueled by his creativity and passion, and started early at events like the original Woodstock Festival, the Beatles at Shea Stadium, as well as exposure through his family members’ leadership role in the founding of Warner/Elektra/Atlantic. It was through those experiences and contacts, his creative talent and business acumen, that Howie would develop relationships with many leaders of the industry including Ahmet Ertegun, founder of Atlantic Records, among others. Already a well-known music industry veteran, Howie spent 10 years in Woodstock, N.Y. as an acclaimed songwriter, producer, performer, and founder of the renowned 70’s pop/punk act The Test Tube Babies. He has worked with Jimi Hendrix’s bass player Noel Redding, Spin Doctors guitarist Eric Schenkman, Corky Laing, drummer for 70’s supergroup Mountain, Joan Jett, Paul Geary, drummer for Extreme (and Godsmack manager), and including projects with Steven Tyler of Aerosmith, among many others. Howie left Nixon Peabody in 2000, to become in-house counsel at the venture fund running Napster. Following that, he helped lead several other Internet Music companies, and spent several years running his own law practice in Cohasset, where he lives and raised two daughters. In addition to a number of screenplays, Howie's creative side projects include songwriting, and performing several live shows every year, backed by highly renowned Berklee School of Music musicians. Many of his published musical works can be found on Soundcloud. Howie has served on the Board of Overseers of Citi Performing Arts Center (CPAC), which includes the Wang and Shubert theaters. Hear Howie’s recent interview on Radio Entrepreneurs. "Ruberto, Israel & Weiner is my go-to law firm… from the most important moments in my business life, to the day-to-day operational issues. Always available, on time and on budget. Their recent outstanding work on a complex acquisition is just one example of how their expertise and commitment to getting the deal done makes all the difference. When it counts, Russ, Howie and the entire RIW team deliver."